We are a zero-waste facility. You can help keep our facility in tip-top shape by sorting your waste appropriately (compost-recycling), keeping food and drink (except water) out of the studios, packing out your trash, and taking your belongings home with you. Items left behind will be placed in our lost-and-found basket. At the end of each session any remaining items will be donated to charity. We are a smoke-free and drug-free facility. A socially acceptable standard of behavior is expected from all our students. Youth, teen, and adult students of all ages should be able to take direction, stay on task, respect the instructions of staff and instructors, and show respect for other students. Inappropriate behavior may result in dismissal with no refund at the sole discretion of directors. We maintain an audio and print library for its students. Items are due two weeks after you check them out and must be returned by the end of each session for library inventory. Rental instruments (marimbas, mbira, and djembe drums) are available to currently enrolled students on a first-come, first-served basis. Please inquire about rates and availability. We encourage our adult students to get together to play and socialize. Instructors and students together can facilitate this each session by selecting a date and time together and inviting other like-leveled classes to participate. Your instructor can open and staff the building for Jam Nights. At the end of the school-year program, we host an Annual Student Festival in which all current students are invited (and encouraged!) to play with their class. The Student Festival is a time for friends and family to share in the music you have been working on during the year. The Student Festival is normally held the last weekend of May or the first weekend of June each year. We periodically hosts concerts to ‘give back’ both locally and internationally. Each community concert has a charitable theme to benefit those who have taught us, those who need our help, and those about whom we care deeply. Performance groups and classes organize and perform at these community concerts. The location and date of the concerts vary from concert to concert and the schedule is announced each session. Other performance opportunities for classes may arise from members of the group. Instructors can help students brainstorm how to make these performances a reality, although we do not typically provide instruments or transportation for class-organized performances. Often, the brainstorming of how to make the performance a reality bonds the members to one another and also makes the performances that we do host even more special. Moon & Stars/Kutandara events are supported with staff and instruments, provide our performance program members with performance opportunities, and serve as community outreach. On occasion, a director may invite a class to play at a performance group event as a warm-up act or to give the performing band a break. This is done on a case-by-case basis. If you are a member in a class that is interested in these types of opportunities, please let your instructor know! Adult classes that have been together for one year or more are given more access to the building through a key holder/facility steward position. A key holder/facility steward is invited to step forward from each class in the fall for the school year. As a key holder/facility steward, your key allows you and your class access to the building and use of its amenities. With the possession of this key, however, comes responsibility. These responsibilities are outlined in “Facility Steward Agreement.” Please read this document carefully before signing a contract so you are aware of all that being a key holder/facility steward entails. If you would be willing to act in this role, please let your class and instructor know. A class ambassador is invited to step forward from each class. Class Ambassadors act as logistical and social organizers within their own class and among other like-leveled classes. They work in partnership with their instructor to improve their own and their peers’ experience. If you would be willing to act in this role, please let your class and instructor know. Fall Session (17 weeks): The 17 full weeks beginning on Sunday, 19 weeks before the end of the calendar year. For beginning classes or workshop-style classes, this session may be broken into two shorter sessions. Winter Session (20 weeks): The 20 full weeks beginning immediately following Boulder Valley School District (BVSD) Winter break, excluding BVSD Spring Break. For beginning classes or workshop-style classes, this session may be broken into two 10-week sessions. Summer Session (8 weeks): Typically four weeks in June and four weeks in July. For beginning classes or workshop-style classes, this session may be broken into two four-week sessions. Fall Break: The full week from Sunday-Saturday in which Thanksgiving falls (with BVSD). Winter Break: The full two weeks from Sunday-Saturday in which Christmas and New Year’s Day fall (with BVSD). Spring Break: The last full week from Sunday-Saturday in March (with BVSD). Mid-Summer Break: The full week from Sunday-Saturday in which Fourth of July falls at the discretion of Directors. End-of-Summer Break: One -three full weeks in August at the discretion of Directors. We do not take one-day holidays, including BVSD non-student contact days, or BVSD conference exchange days, with the exception of Memorial Day and Labor Day. We rely on the phone numbers and email addresses you give us to contact you throughout the session. Please make sure we have your current information. If you provide us with accurate contact information each session, we will ensure that you receive notification of class cancellations, student concert information, and other news. At the beginning of the school year, we provide student contact information to members of your class to be used for class purposes (carpooling, missed lesson information, community-building, etc.). Please only use this contact information for related activities. As a student, you may have an opportunity to perform with your class. During both instruction and performance(s), you may be photographed or recorded for instructional, archival, or advertising uses. We offer group music classes for adults, teens and children. Classes are small in size (six-twelve students) and are offered throughout the year. School-year classes are offered August-May (fall: 17 weeks, winter/spring: 20 weeks), while a shorter summer session is offered June and July. Space in classes is available on a first-come, first-served basis pending the receipt of your online registration and 50% tuition deposit. Payment is due at the time of service (i.e., on the first day of your class in a session or on the day of your private lesson). We prefer payment in the form of cash or check. In the unfortunate event of a check being returned for insufficient funds, you will be charged an additional $35 administrative fee. We do accept all major credit cards in person, over the phone, and through PayPal as a convenience for students. We offer a monthly tuition payment plan as a convenience for our students. Balances that are more than 21 days late are charged a flat service fee of 10% each month. We appreciate your prompt payment! To withdraw from a class, please complete a withdrawal form in the office. If you withdraw from a class during the first week of the session, you will receive a full refund. Refunds are given in the form of a check. If you withdraw from a class after normal business hours on Friday of the first week of the session or later, no refunds will be given for any reason. Because you have reserved a space in a group for which we have a limited number of spots available, our non-refundable policy applies in every instance. In the event of insufficient enrollment, classes or workshops may be cancelled. In general, we hold the first class of a session to take into consideration potential walk-in students. If a minimum number of students do not attend the first class, the session will be postponed. On occasion, an instructor may have to miss a class or lesson. In this situation, a suitable substitute instructor will be provided or you will be given notice of class cancellation using e-mail addresses or phone numbers provided to us. In the event of cancellation, the instructor will schedule an alternate day and time to make up the class during the session. If BVSD schools are closed due to inclement weather, we may also be closed for the day. If possible, staff will attempt to reach all affected students by email. Make-up classes will be held at the discretion of each instructor for cancellation of classes due to closure for inclement weather. If you know that you will miss a class, please let us know! It makes a difference when even just one student is absent. We can better plan for your absence if we know in advance. Thanks! 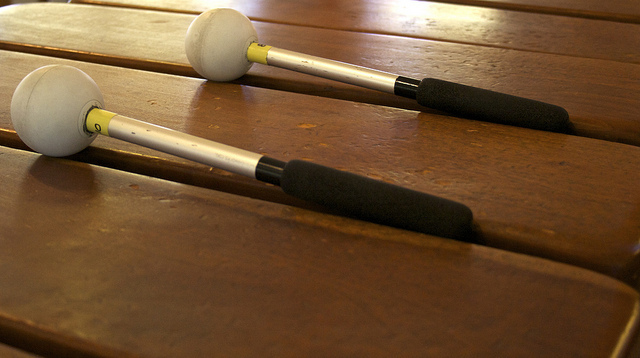 If you miss a marimba class, you may make up that class during the same session by participating in another marimba class at no charge to you (with the approval of your instructor and the instructor of the make-up class). Although marimba classes are working on different material, there is enough overlap in material and ability that attending a different class for a make-up may be beneficial to you. If you are unsure of which class to attend for a make-up, please ask your instructor. You may also schedule and pay for a private lesson to cover missed material. There is no refund or pro-rating for missed classes during a session. We have a 24-hour cancellation policy for private lessons. You will be billed for lessons cancelled less than 24 hours in advance of your lesson time, except in the event of illness or family emergency. Our youth classes are named in Shona after animals. Our adult classes are given names by our Shona language teachers in conjunction with the members and instructor after they have been together for one year. Children may remain with one animal class for one, two or more years depending on the development of the child and the class, the composition and size of the class, and other factors. Directors can help navigate these class changes; please ask if you have questions. Typically children only change groups at the beginning of the school year in the fall. Existing youth students will be placed in classes the summer preceding the fall semester. Young adult students that are interested in joining our Teen Performance Program attend an open house, fill out a written application, and complete a face-to-face interview/audition with Directors in the spring. Students who successfully complete the spring process are invited to complete a course of preparation over the summer and join the Teen Performance Program in the fall. Adults are discouraged from switching classes. Although, sometimes a student’s needs, availability, or the direction of the classes necessitates this conversation. From years of managing many successful class transitions (and some not-so-successful! ), we have learned that our existing classes are delicate ecosystems that we tend as gardeners would tend a beautiful wildflower garden. After about a year of playing together, students who would not naturally be social with one another learn to love and enjoy one another’s company and have a level of ownership in the group and its process and content (and any changes to it!). When a student expresses an interest with their instructor to change classes, for any of the reasons listed above, we ask that the student schedule a meeting with Directors (and their instructor) to talk about their goals. 2) Jams/Observations/Make Up Classes – several times when the student and the existing class can play together in a classroom setting with the teacher to get a feel for how the class is run, how the teacher teaches, how the existing class learns, and how well the student will fit. After this, Directors sit down with the student, the new teacher and the old teacher to create a path forward. This includes 1) a plan for the new member to learn the existing class’ repertoire, 2) scheduling and complete private lessons with the new or old teacher, as well as 3) a number of get-togethers with existing class members. Students can accomplish this while still playing with his/her old class. When the right moment comes for transition, we plan a “good-bye” class with the old class to say our farewells, and a “welcome” class with the new class to say our hellos. Students may stay with us for many years and grow through our programs. We offer classes for all ages and levels of ability. In general, students will start in our introductory classes and progress with their class through our skill and song levels. At various points in this process, there will be opportunities for additional growth; as a studetn’s ability and experience grow, so do the opportunities for learning. We offer several different levels of performing ensembles, different instructors with different strengths and experiences, and opportunities to give back to those less fortunate than ourselves. If you have questions about your growth, please discuss them with your instructor, or schedule a time to talk with one or both of our Directors. Tatenda! (Thank you!) We are glad that you are part of our community!